We are the soft skills training provider to the UK Grocery Industry, helping Suppliers win more business. They choose us because of our money back guarantee, our relevant industry experience and because we make their learning stick. Call 0333 247 2012 to see how we can help. 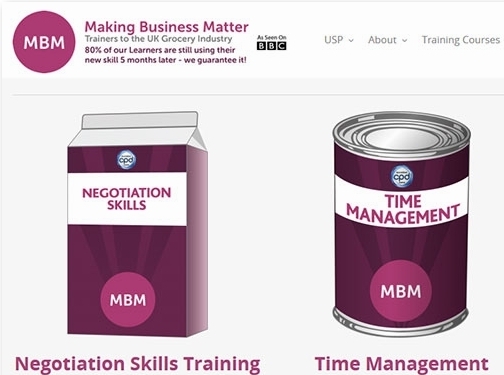 UK (Thame, Oxfordshire) based business providing training for the UK grocery industry. Website includes details of services provided, "meet the team" page, testimonials, client list, press mentions, associations, accreditations, FAQs, full contact details.